Al Amarat (Arabic: العمارات ‎ / transliterated: Al Amarat) Al Amarat is a Sudanese neighborhood, is a large neighborhood within Khartoum State and Khartoum city, one of the most prestigious neighborhoods in Khartoum city. Al Amarat is bounded on the east by Africa or (airport) road and on the west by Mohamed Naguib road. The nomenclature of the neighborhood streets starts with 1st street and ends by 61th street, using odd numbering. The district is a modern residential districts in Khartoum, but it was found after the late General President Ibrahim Abboud government. Al Amarat district is one of the neighborhoods of Khartoum city, It has been known as a major residential for cultural and businessmen at the centre capital of Sudan. The neighbourhood was named Al Amarat as it was the first district in Khartoum with high-rise buildings, and was originally called "South Amarat". It was planned to have both first class and second class buildings, and some people call it (Abboud) from their point of view. District of Al Amarat was one of the major achievement as the first government leading development. It was one of Great housing revolution developments in Sudan which bomber detonated by late General President Ibrahim Abboud. 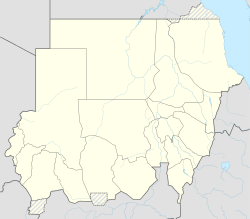 Al Amarat is one of the safest districts in Khartoum, especially considering its size. Social life tends to be muted. There are plenty of good restaurants, clustered in wealthier neighborhoods and where lots of expats live. It is a decent place to live. Houses and apartments are also in high supply. Amarat has been the favorite neighborhood in Khartoum. The people have become accustomed to rush to their homes early in the evening because Khartoum yawns early due to the government decision to stop private parties at 11:00 pm, an hour before midnight. Al Amarat Intermediate School For Boys. El Ferik Ibrahim Abboud (Arabic: إبراهيم عبود‎, 26 October 1900 – 8 September 1983) was a Sudanese president, general, and political figure. A career soldier, Abboud served in World War II in Egypt and Iraq. In 1949, Abboud became the deputy Commander in Chief of the Sudanese military. Upon independence, Abboud became the Commander in Chief of the Military of Sudan. He served as the head of state of Sudan between 1958 and 1964 and as president of Sudan in 1964; however, he soon resigned, ending Sudan's first period of military rule. ^ "مفوضية تشجيع الإستثمار - ولاية الخرطوم". Investment Encouragement Commission. ^ "حكومة ولاية الخرطوم". Khartoum. ^ "World Weather Information Service – Khartoum". UN. Retrieved 6 May 2010. ^ "Sudanese higher education". Ministry of Higher Education & Scientific Research. Retrieved 2011-09-15.